It’s been seven years now since dredg released their breakout third album, Catch Without Arms. Considering the impact the record had on the Los Gatos artists’ career—both because it was their first album to chart, and their last album for Interscope—it’s ironic that one of the best-remembered shows from the supporting tours at the time was when they played their other two albums in their entirety. They’ll correct that when they play Catch Without Arms in its entirety at Avalon on Thursday. 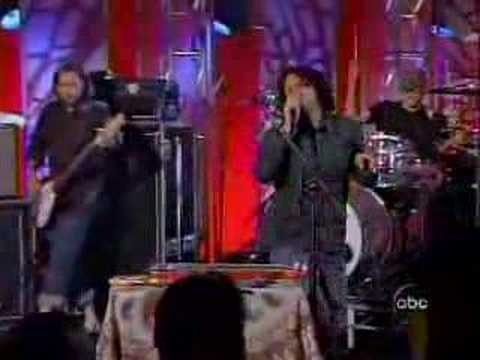 In retrospect, dredg was handling what could have been a difficult transition for fans perfectly back then. Though Catch Without Arms doesn’t sound as different from their previous albums now as it was made out to be at the time, it was undeniably a simpler, more accessible set of songs. Gone were the “brushstroke” interludes of El Cielo, and the winding, impressionistic touches of their concept albums. Though there was a central concept at the heart of Catch Without Arms, it was a leaner, more powerful brand of the band’s angular art-rock. Fans could have taken it hard, worried that dredg was losing its edge, and maybe some did, but in their live shows dredg staked out a solid link between the new songs and their previous albums. Ultimately, it worked—the album pleased early devotees while also expanding their following dramatically. But if the qualities that made Catch Without Arms unique got a bit of a raw deal at the time, this show offers a chance to re-discover them. Los Gatos’ dredg play Thursday, March 22, at Avalon in Santa Clara, 8pm; $20.